Project management is all about developing the way that your organisation adapts to change, and the whole culture of a business can be influenced by the approach that is taken to it. Setting up a leadership strategy that develops and enables effective project management is a good way to shift your business towards a more goal orientated enterprise that can move forward positively. 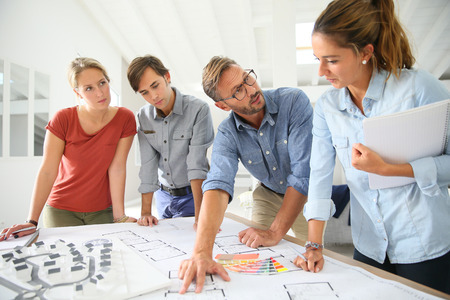 Each department within your business can only function as well as the expertise and skill of the relevant personnel, so project managers must perform to a high level and lead the project delivery process dynamically. A Project Management Office should be in place to manage the way in which project managers are working across the organisation, and positions within this should be high level, professional roles rather than administrative positions. Many studies have suggested that the better project management is across the organisation, the stronger the values of the business and the better it performs. It isn’t just about overseeing processes, but about looking at how things are done and what can be changed to increase effectiveness and positive outcomes. This suggests that a sound project management system that is implemented well in an organisation will be of great benefit to the business as a whole, and not just in delivering temporary project goals. If performance metrics can be placed on these values, it is possible to measure how valuable project management is to a business. Studies showed that shifting organisational culture was possible, both in small departments and across the organisation as a whole, but this required careful introduction to ensure it did not conflict with the existing organisational culture. As project management was incorporated more effectively within the organisation, the organisational performance improved. Are You Looking For A Highly Skilled Professional? Expertise in specific areas can transform the outcomes of individual projects and whole corporations, and working with flexible professionals allows you to engage the talent you need for the fixed period that you need it. ReganStein offers you access to a team of experts with the specialist skills you need for each project, and our results guarantee you excellence every time. Can you step into an existing team and find a way to turn things around when a project is floundering? We connect expert professionals with specialist roles on a flexible basis, so that you can develop a challenging career that lets you choose where and when you work. Contact us at [email protected] to find out how we can work together.